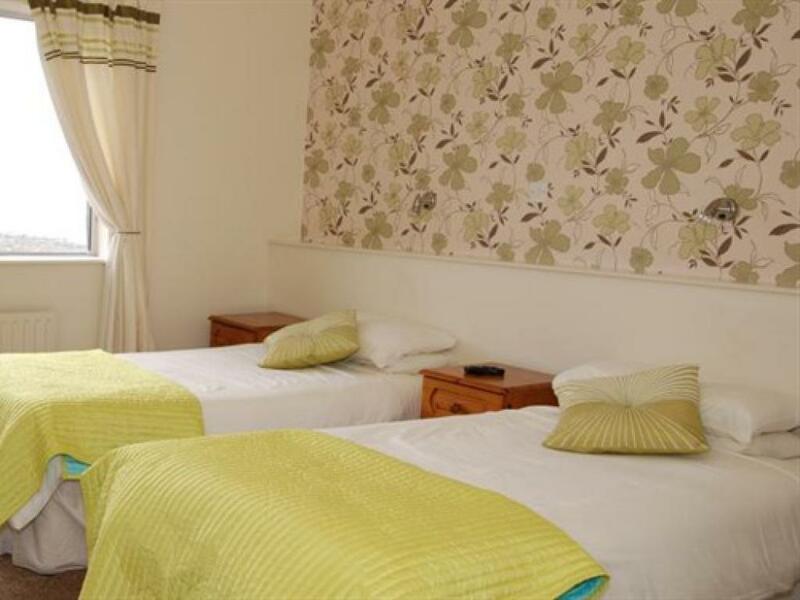 Double or Twin room has 1 comfortable double bed and 1 single bed, en-suite with shower, TV, hairdryer and tea/coffee making facilities. 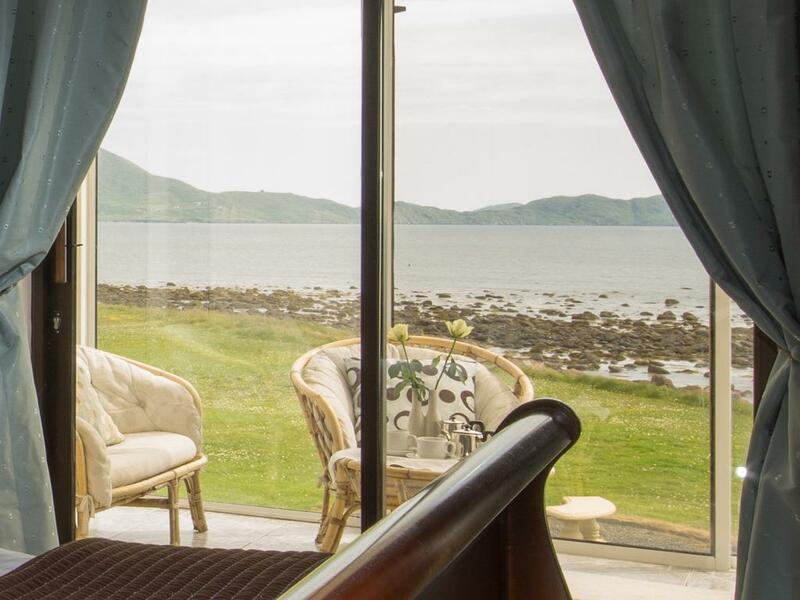 Some rooms have sea view and some have mountain view. 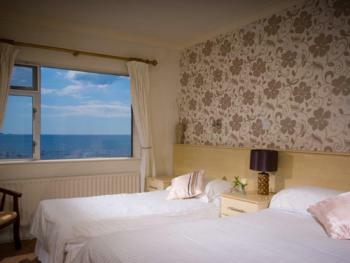 All rooms are on the 1st floor accessed by stairs (no lift available). 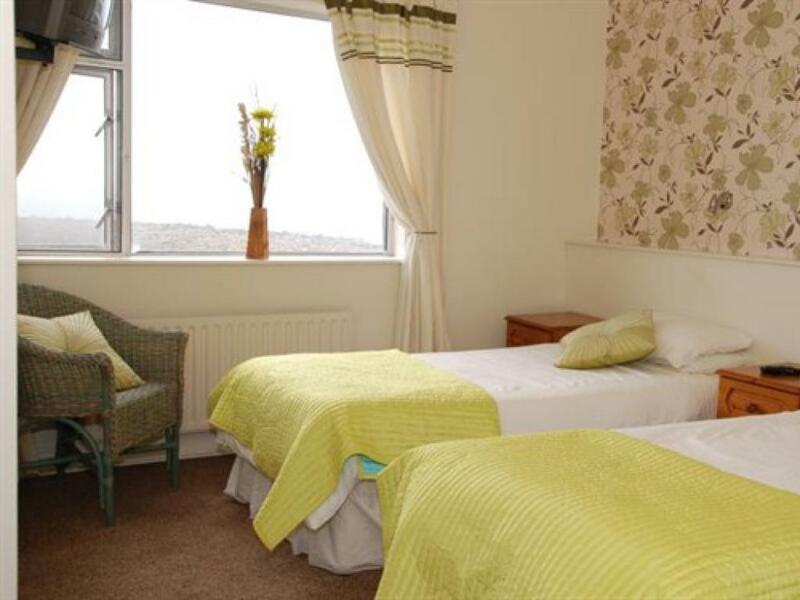 Double Room with mountain view has a comfortable double bed and en-suite with shower, TV, hairdryer and tea/coffee making facilities. 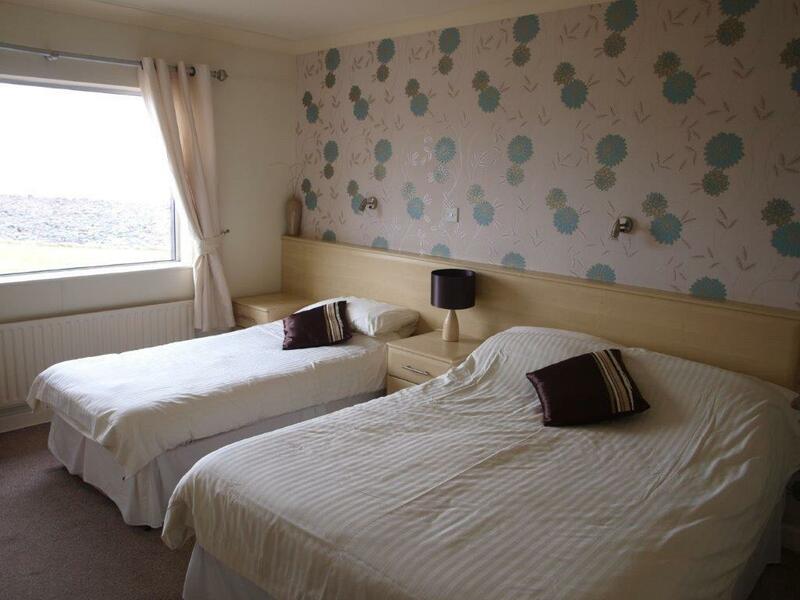 All rooms are on the 1st floor accessed by stairs (no lift available). 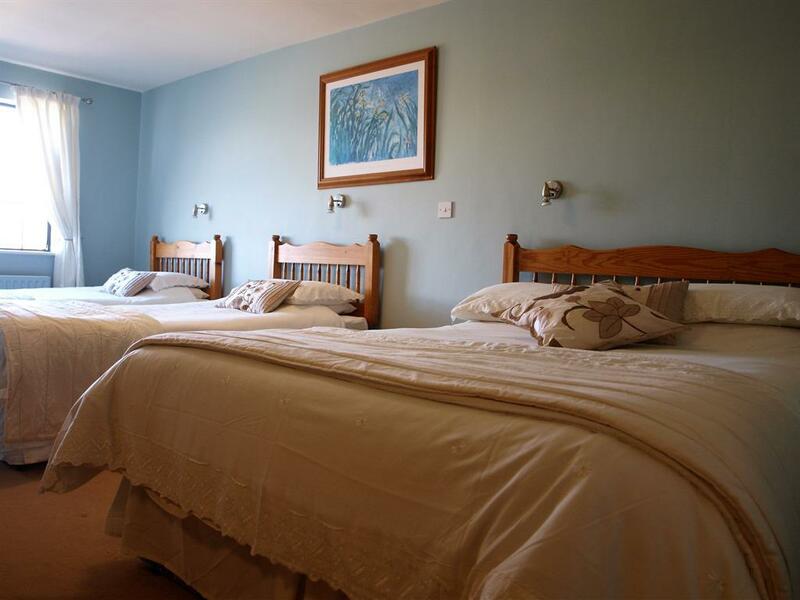 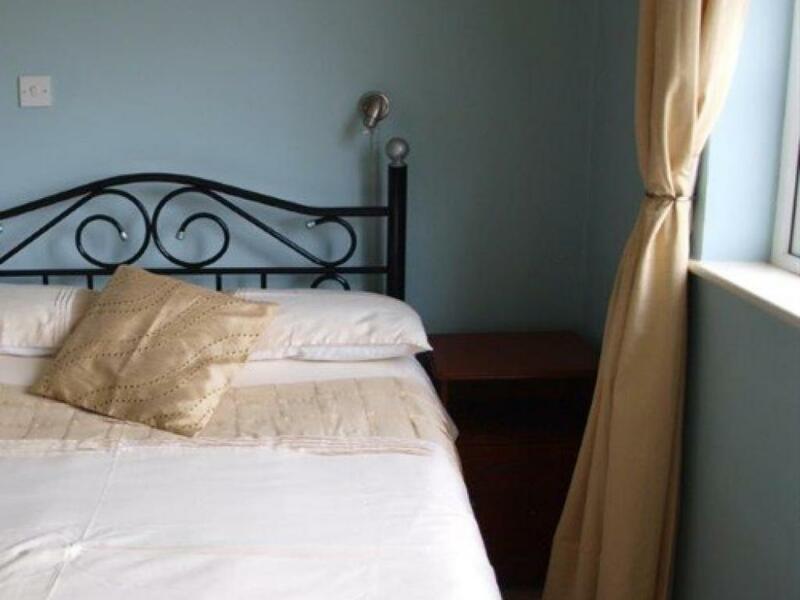 Family Room with mountain view sleeps 4 people (2 adults and 2 children) in 1 double bed and 2 single beds. 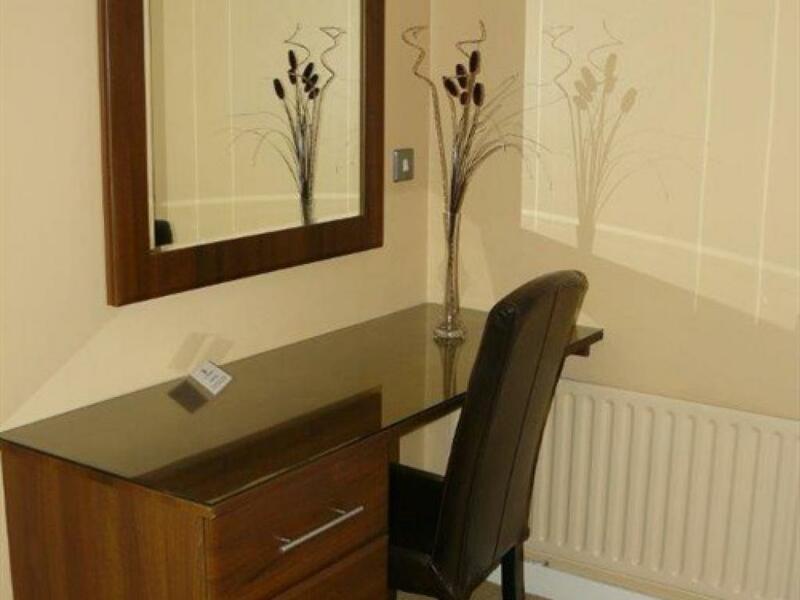 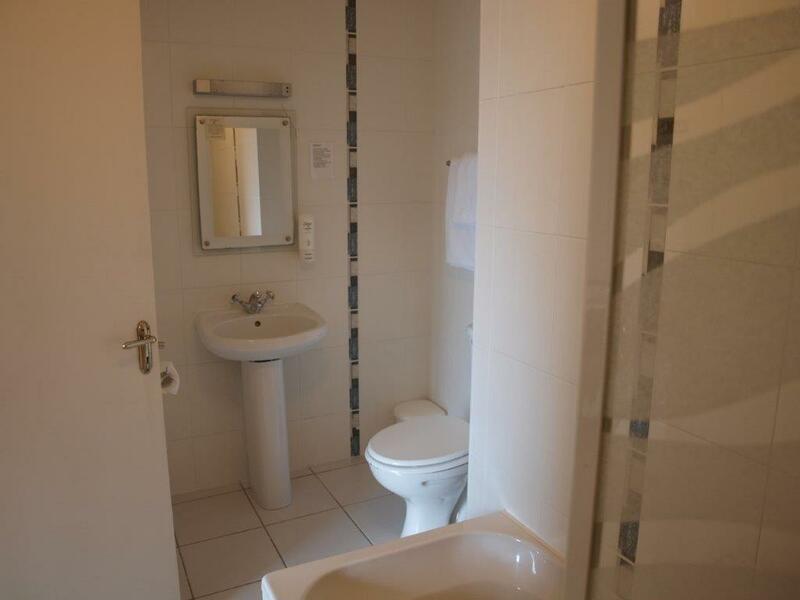 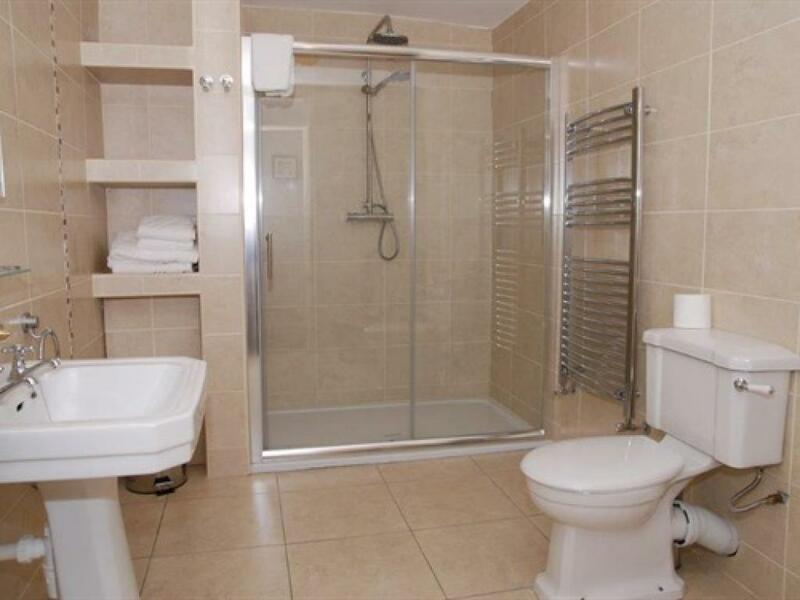 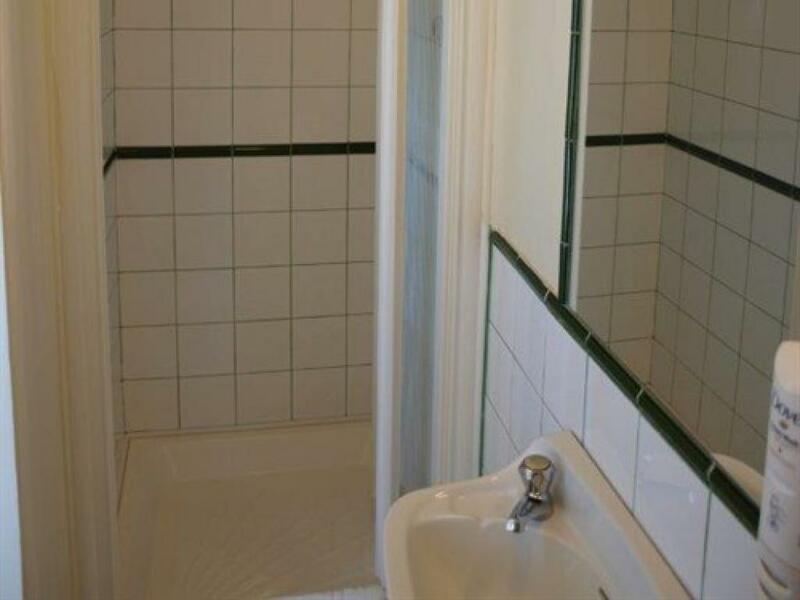 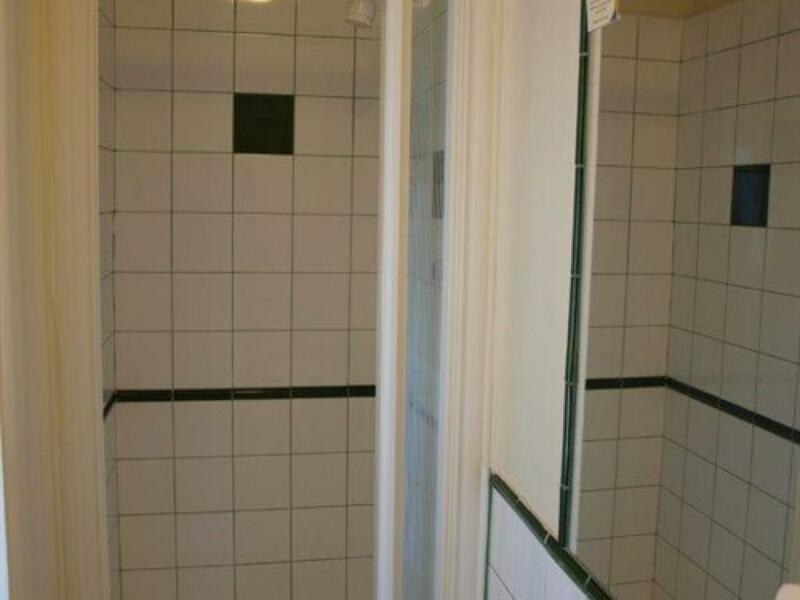 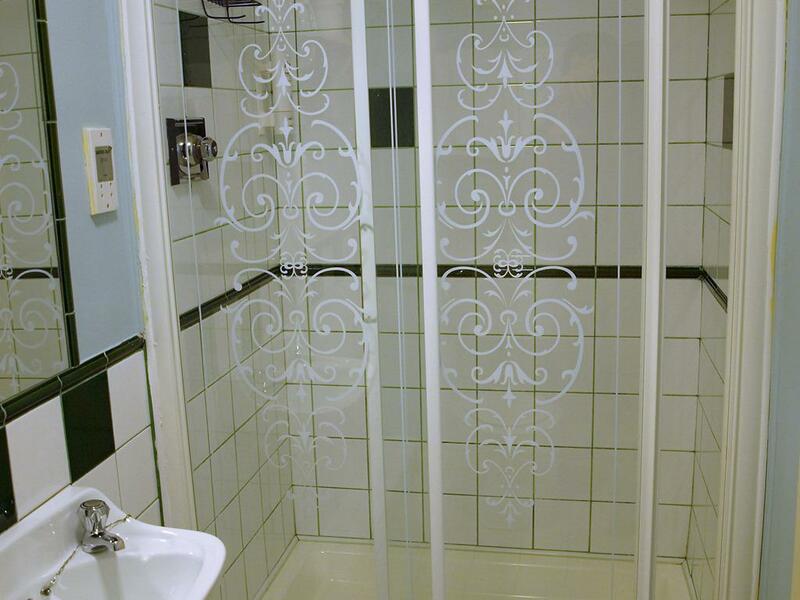 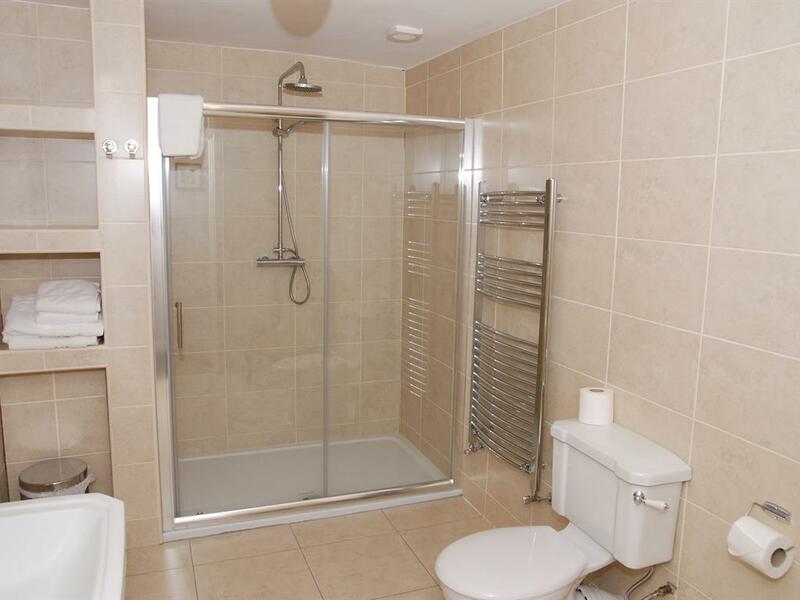 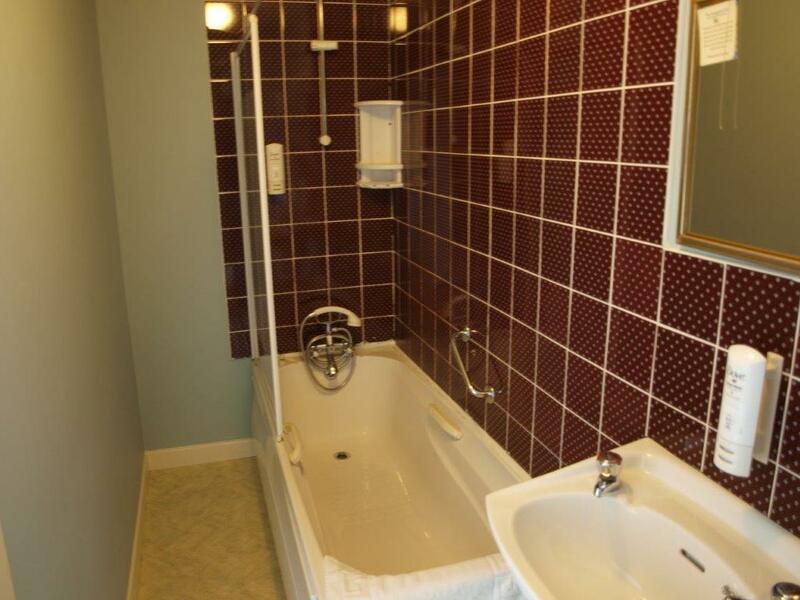 En-suite with shower, TV, hairdryer and tea/coffee making facilities. 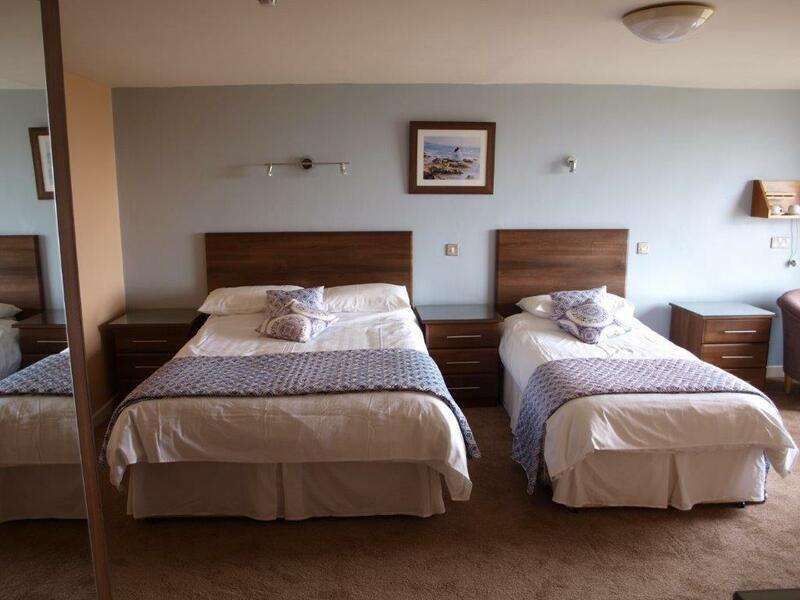 All rooms are on the 1st floor accessed by stairs (no lift available). 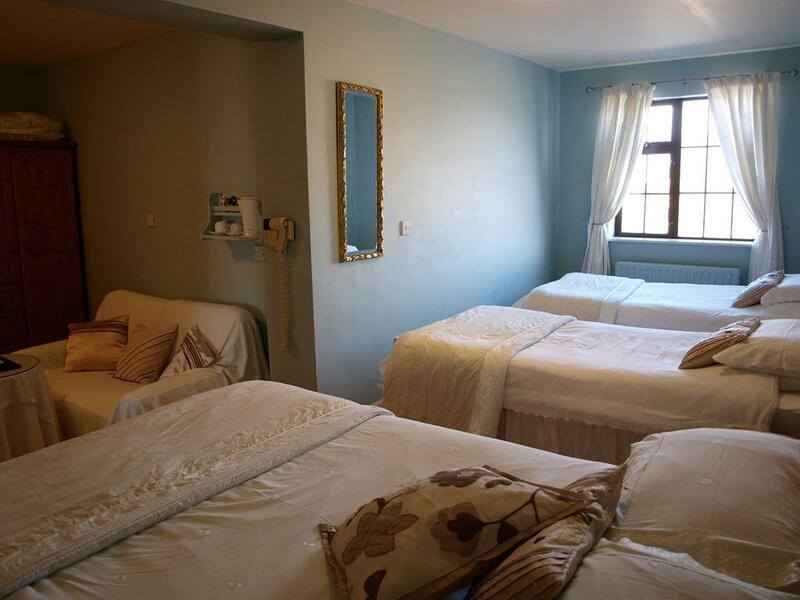 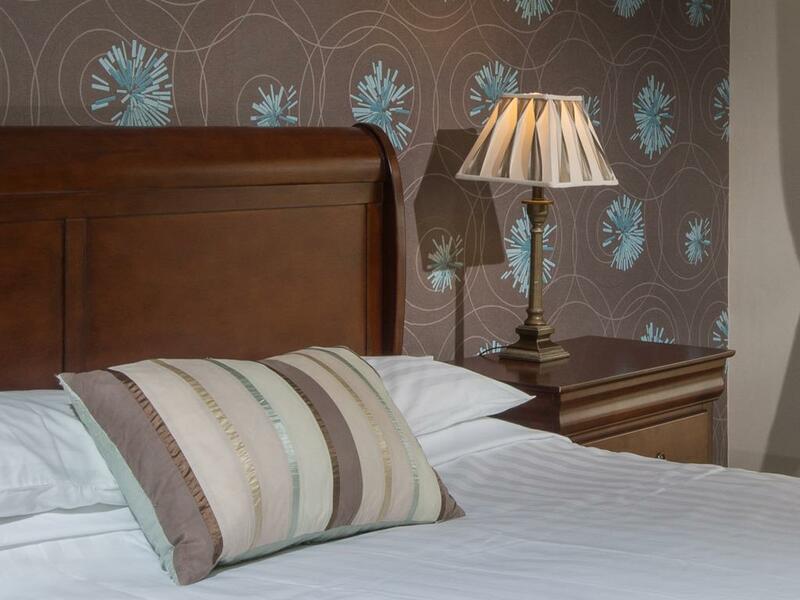 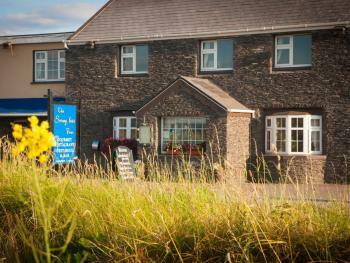 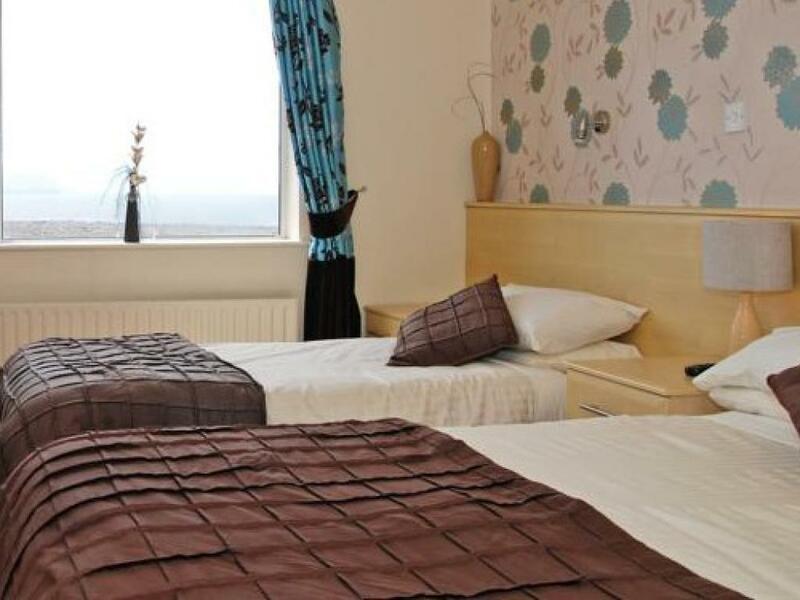 Twin Room with 2 single size beds and en-suite with shower, TV, hairdryer and tea/coffee making facilities. 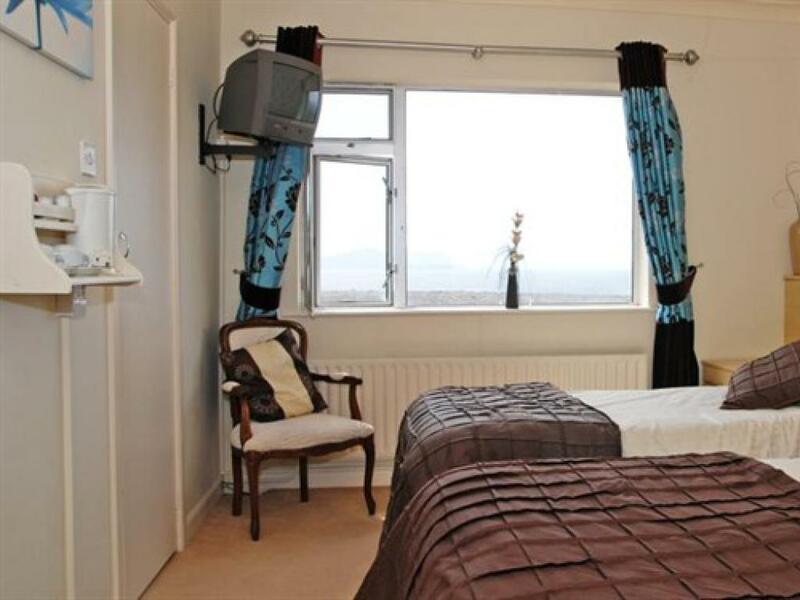 Some rooms have sea view and some mountain view. 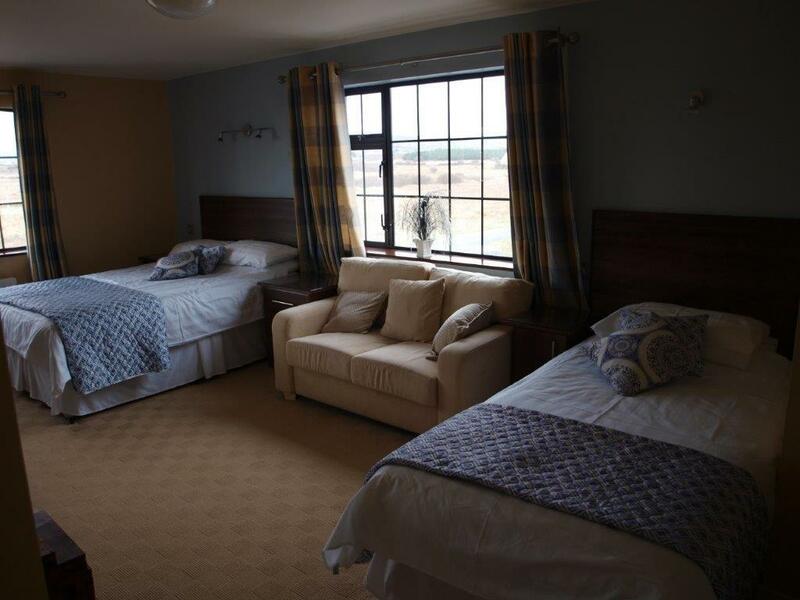 All rooms are on the 1st floor accessed by stairs (no lift available). 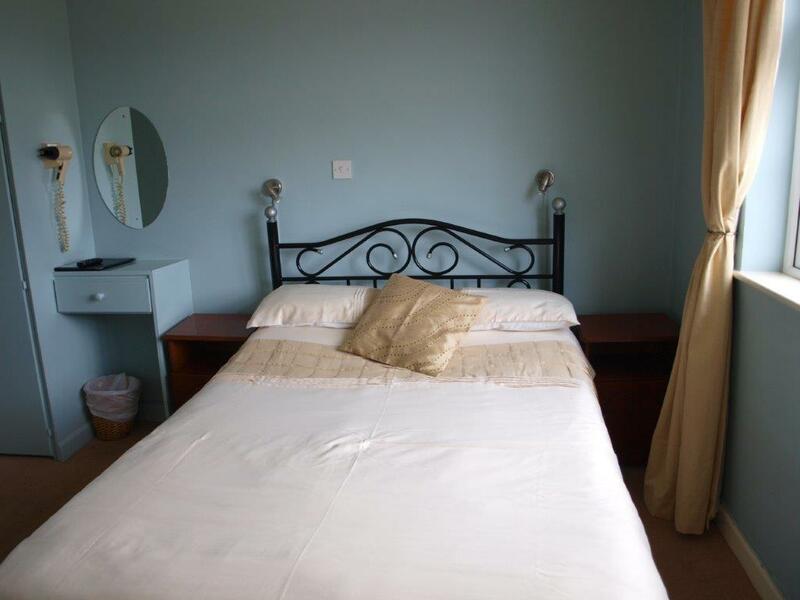 King size comfortable bed and large en-suite with double size walk-in shower, flat screen TV, hairdryer and tea/coffee making facilities. 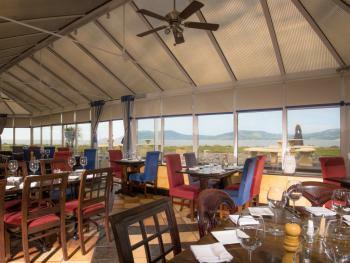 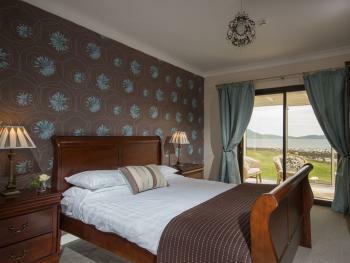 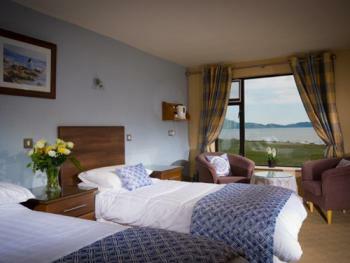 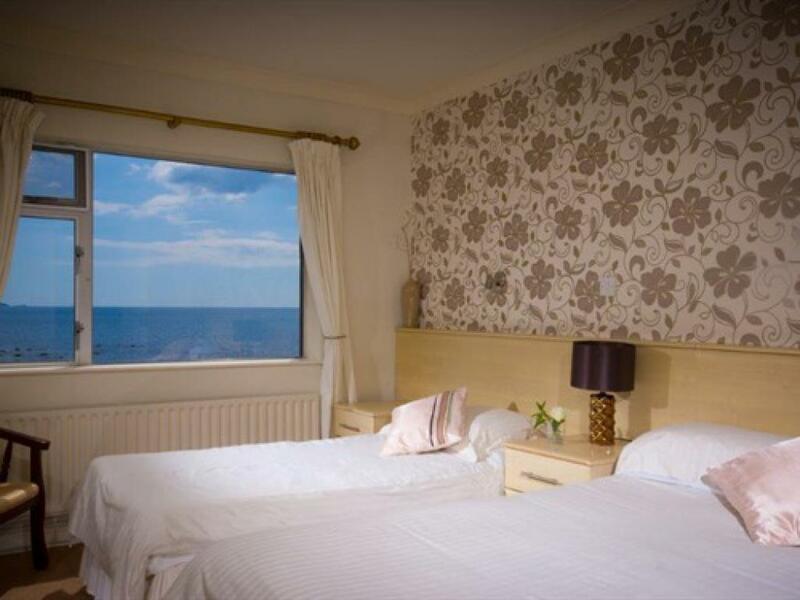 This room also has a small conservatory seating area with views overlooking the beach and Waterville Golf Links. 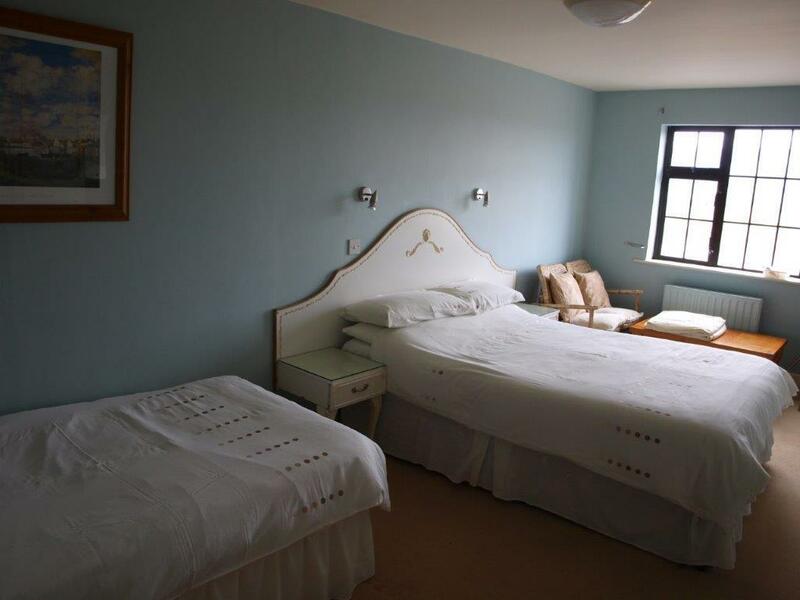 All rooms are on the 1st floor accessed by stairs (no lift available). 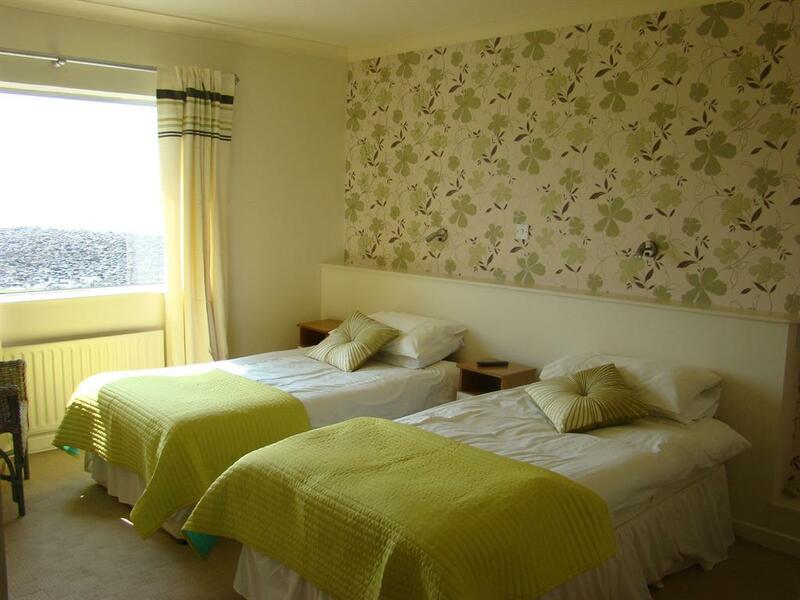 Double or Twin Room with 1 double bed and 1 single bed and en-suite has bath/shower, TV, hairdryer and tea/coffee making facilities. 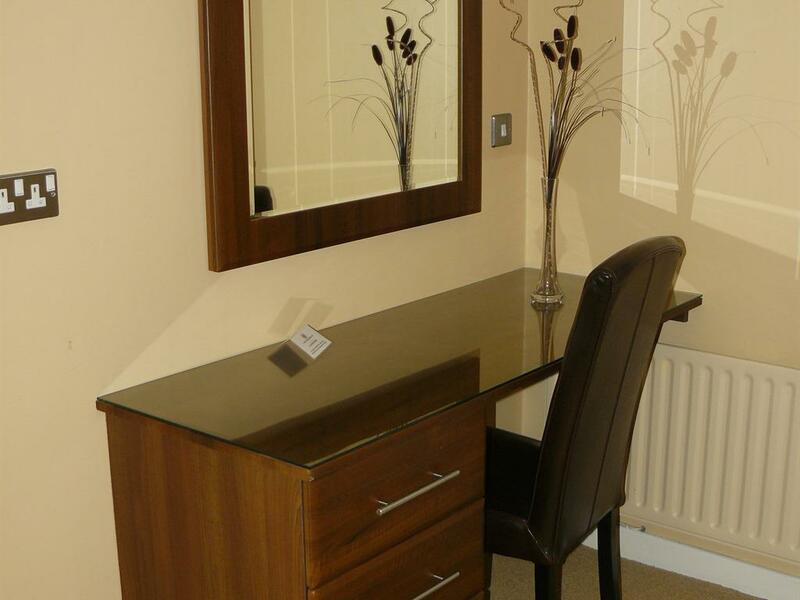 These rooms are more spacious and have a desk and seating area. 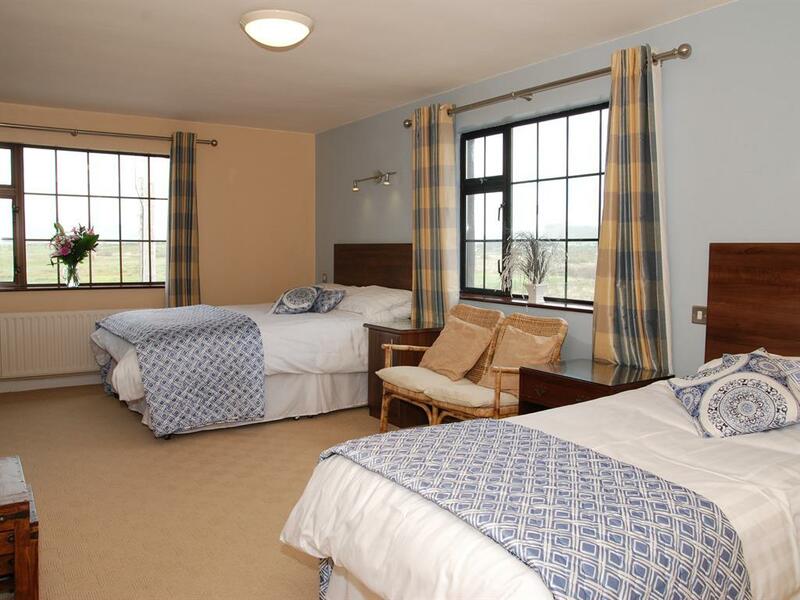 All rooms are on the 1st floor accessed by stairs (no lift available). 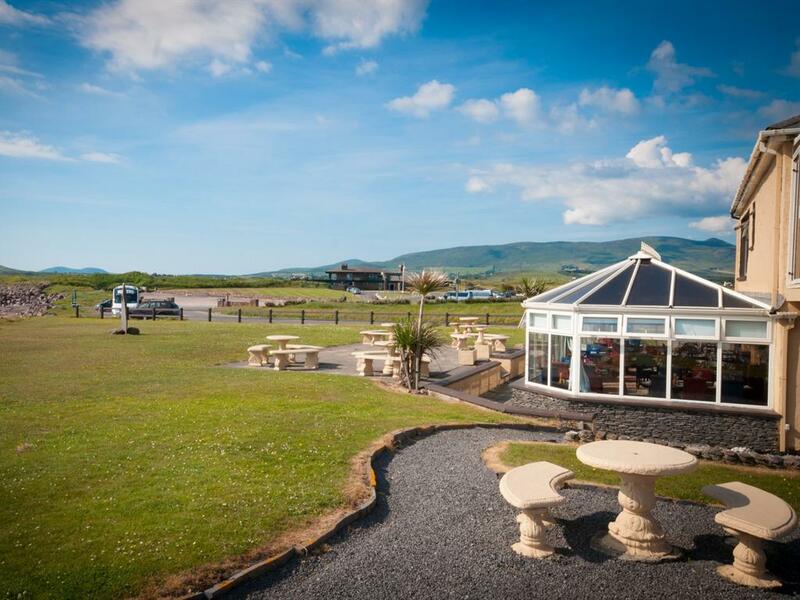 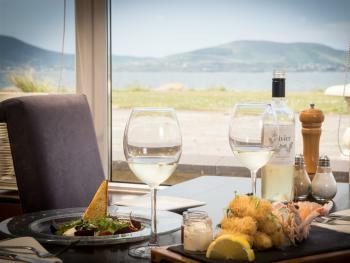 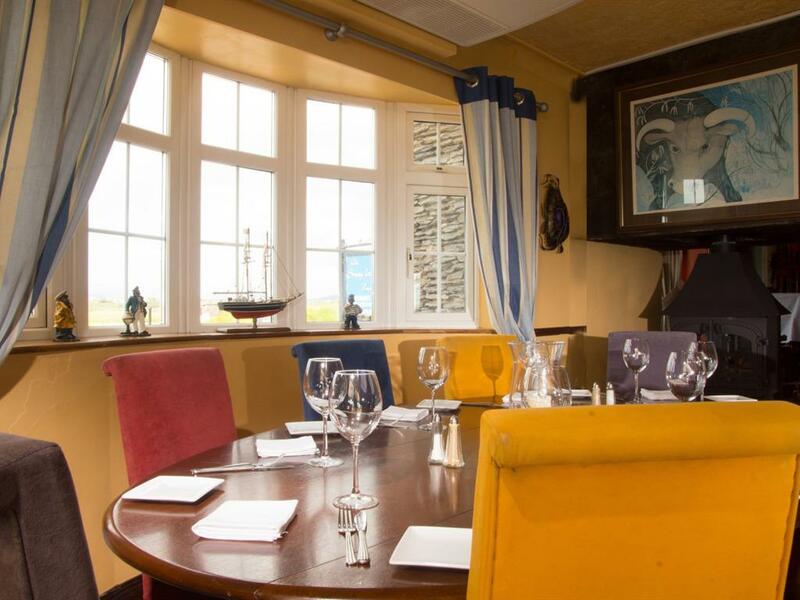 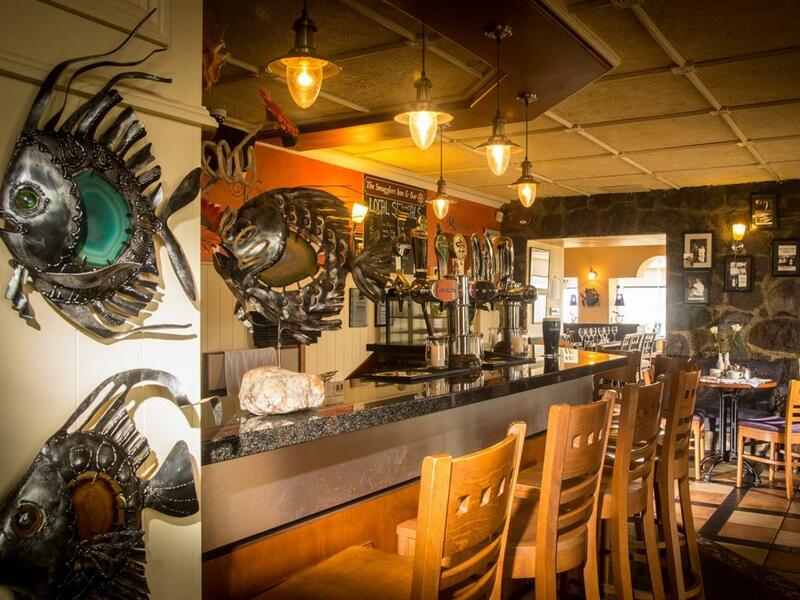 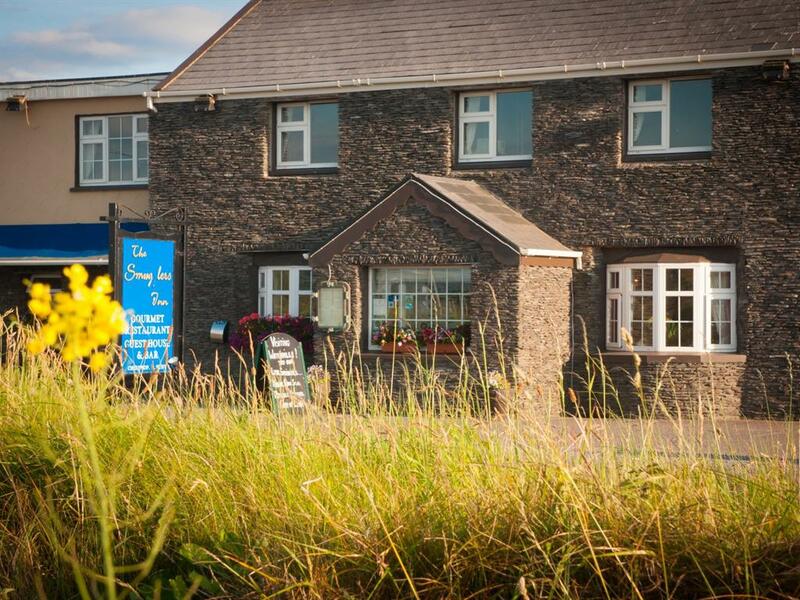 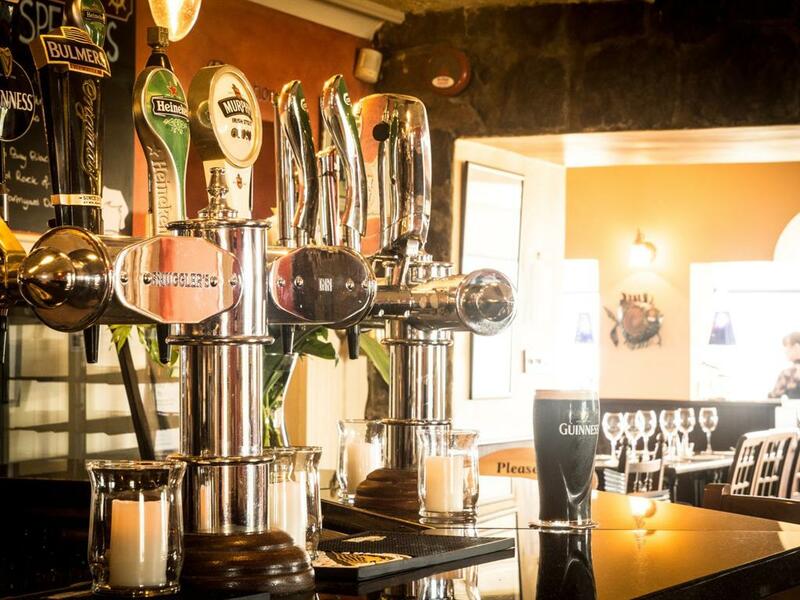 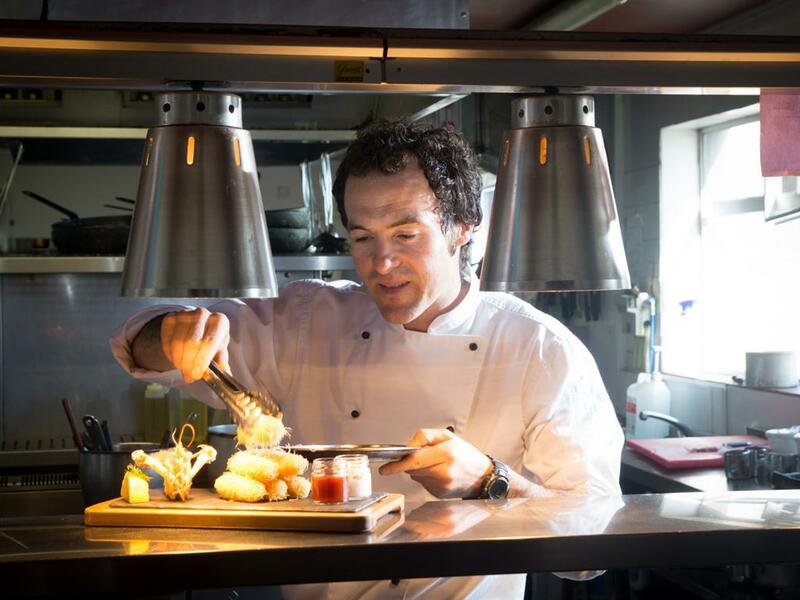 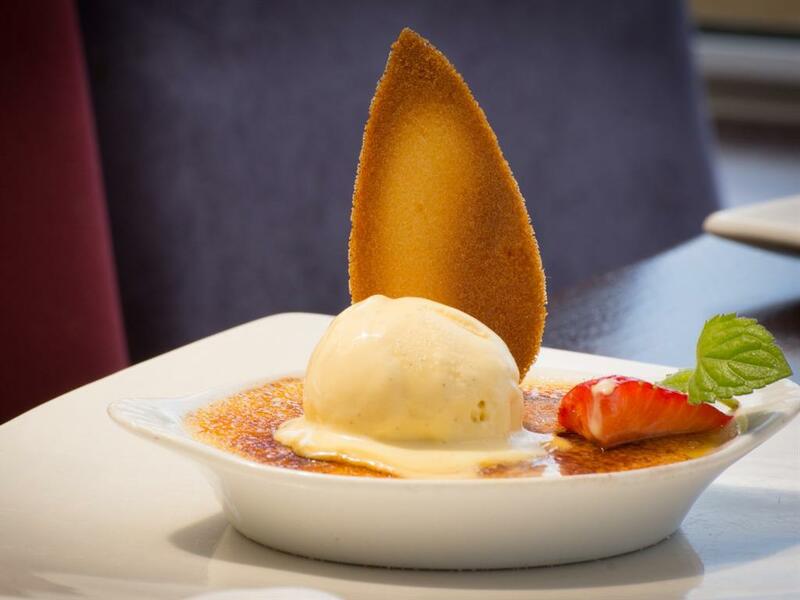 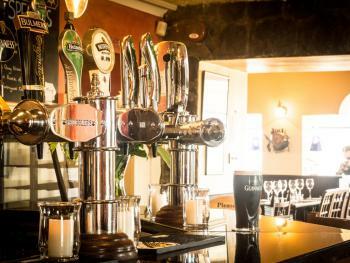 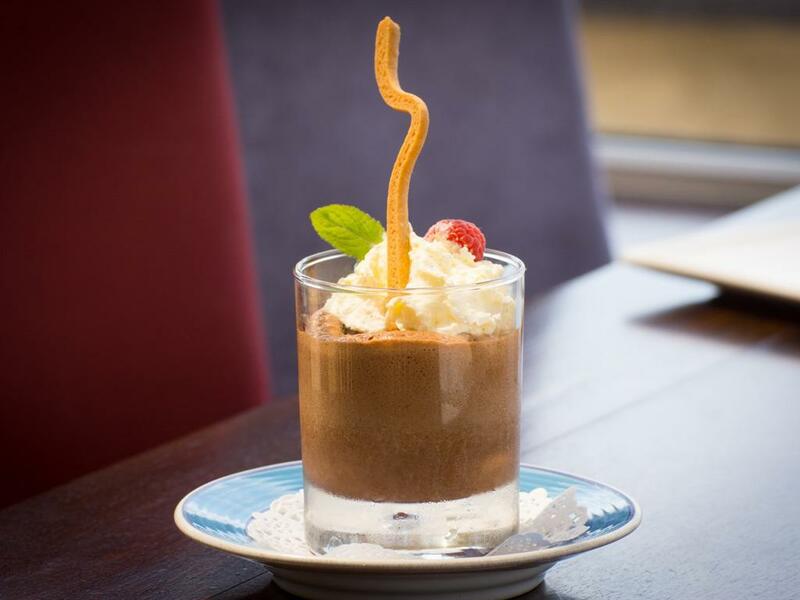 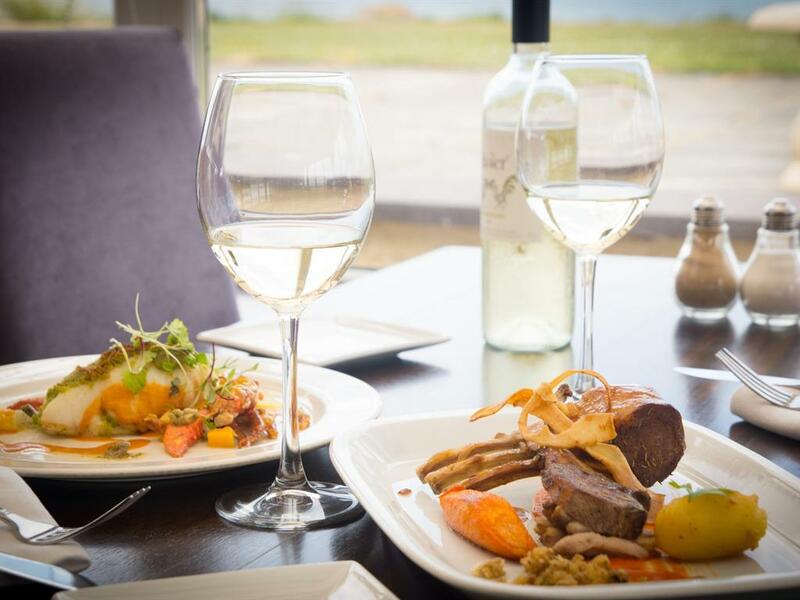 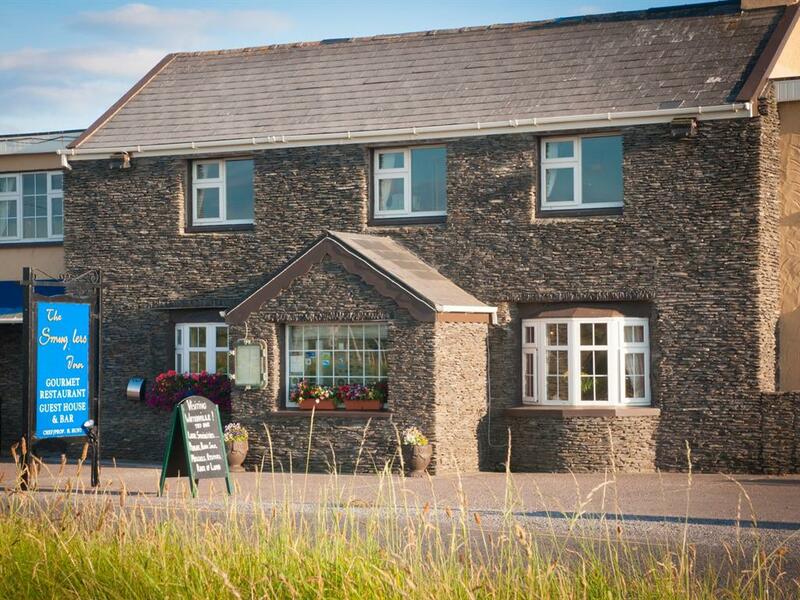 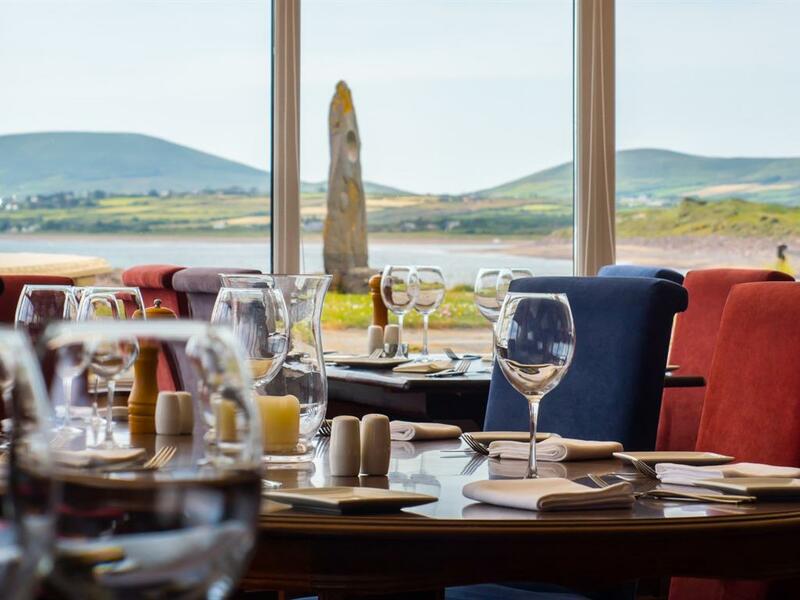 The Smugglers Inn B&B & Restaurant is situated on the shores of Ballinskelligs Bay which overlooks a sandy beach and sits at the gates of one of Ireland's top golf courses - Waterville Golf Links. 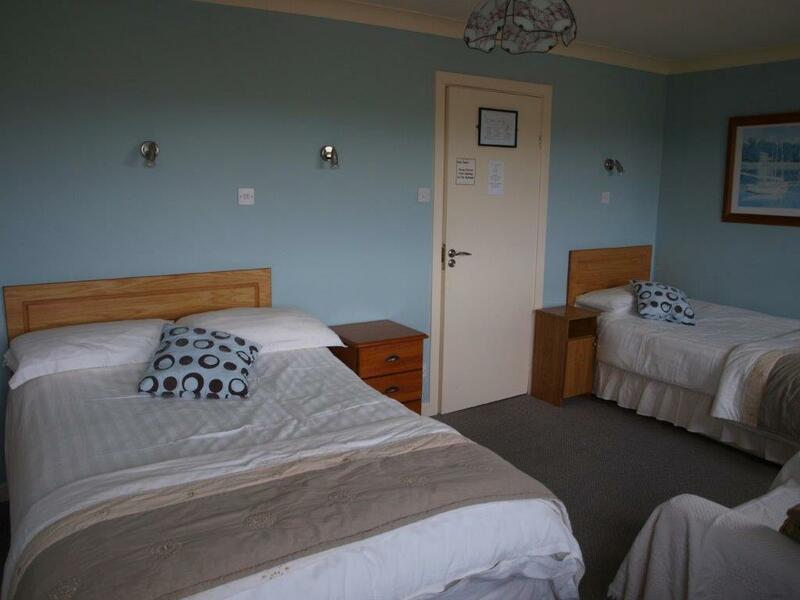 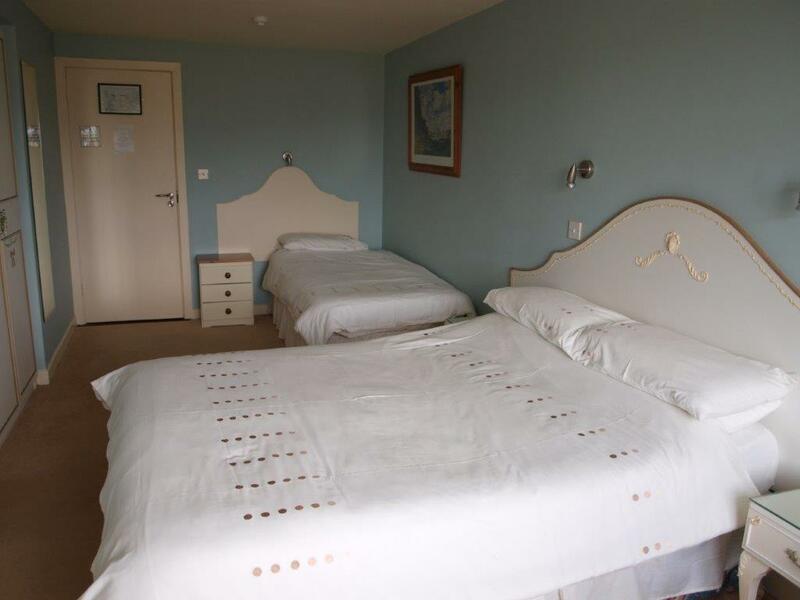 There are 13 bedrooms, all with en-suite, TV, hairdryer and tea/coffee making facilities. 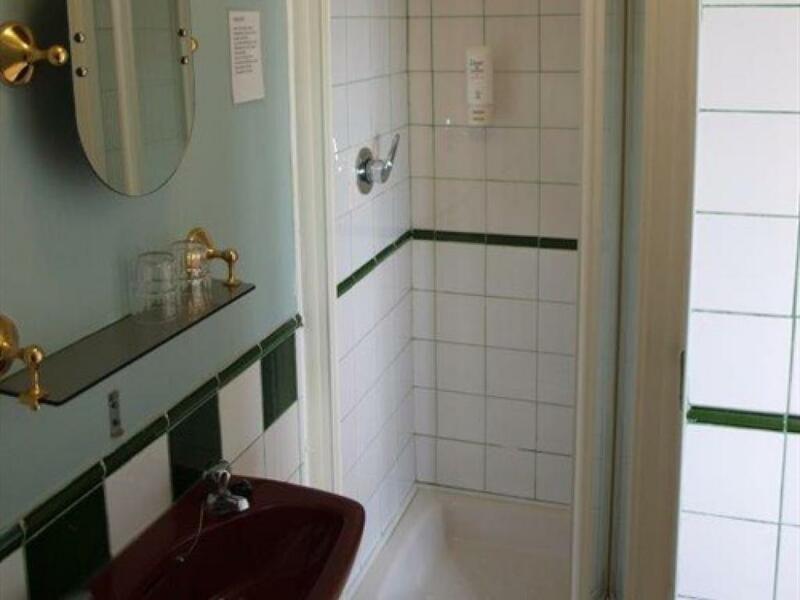 Free wifi in all areas and free parking. 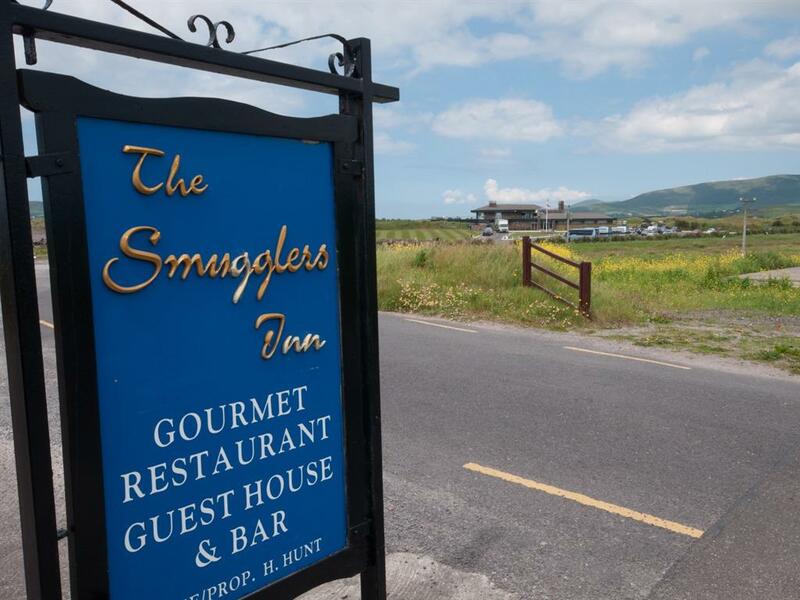 The Smugglers Inn has a gourmet restaurant overlooking the ocean and serves breakfast, lunch and dinner. 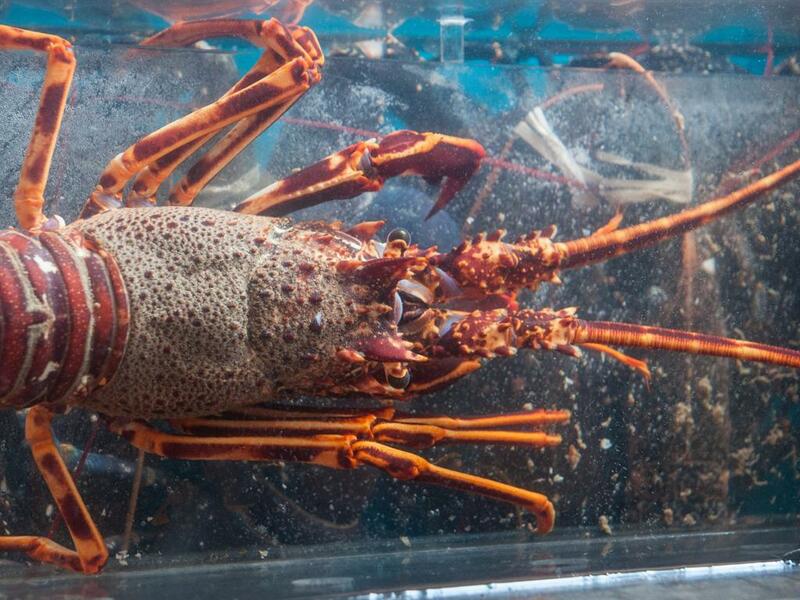 Specialising in fresh local seafood and shellfish delicacies (see the lobsters and crayfish in our tank). 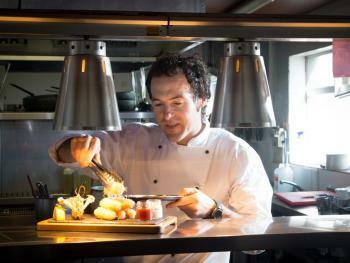 Interesting and varied Bar Food Menu, all carefully prepared with fresh local produce. 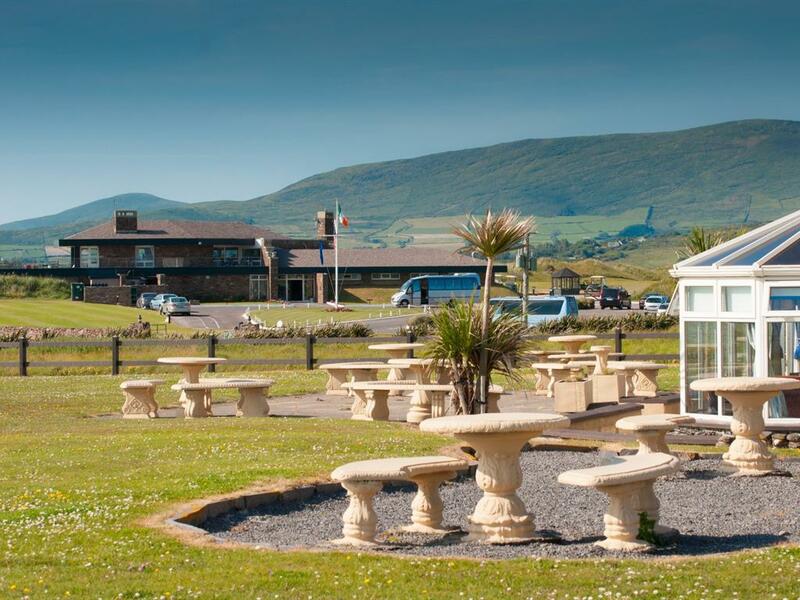 There is a fully licensed bar and a garden for taking lunch al fresco (weather permitting). Also a popular venue for wedding receptions. 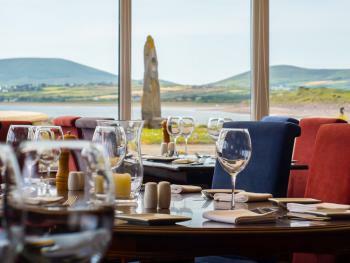 The Inn is adjacent to the world-famous Waterville Golf Links and the new Hogs Head Golf Club is approximately 2km away. 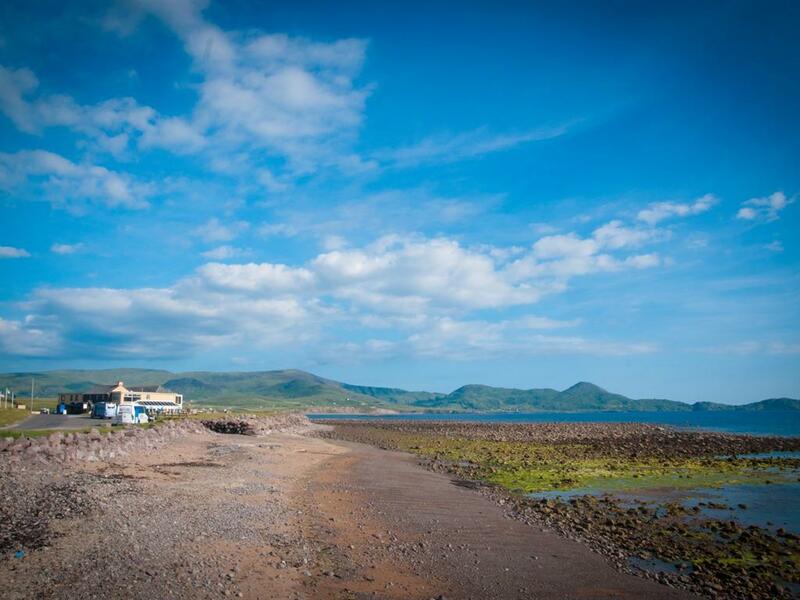 The village of Waterville is just a 20-minute walk. 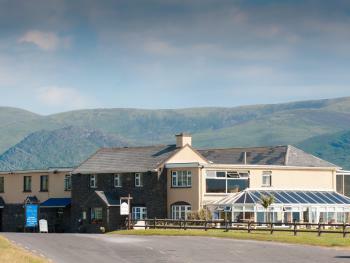 Nearby Lough Currane offers excellent salmon and trout fishing. 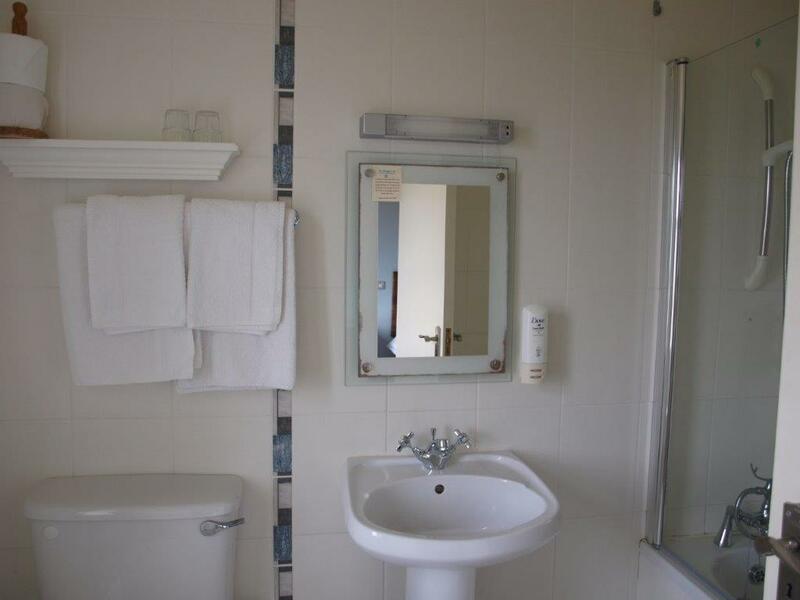 Drying facilities are available for golfing and fisherman guests. 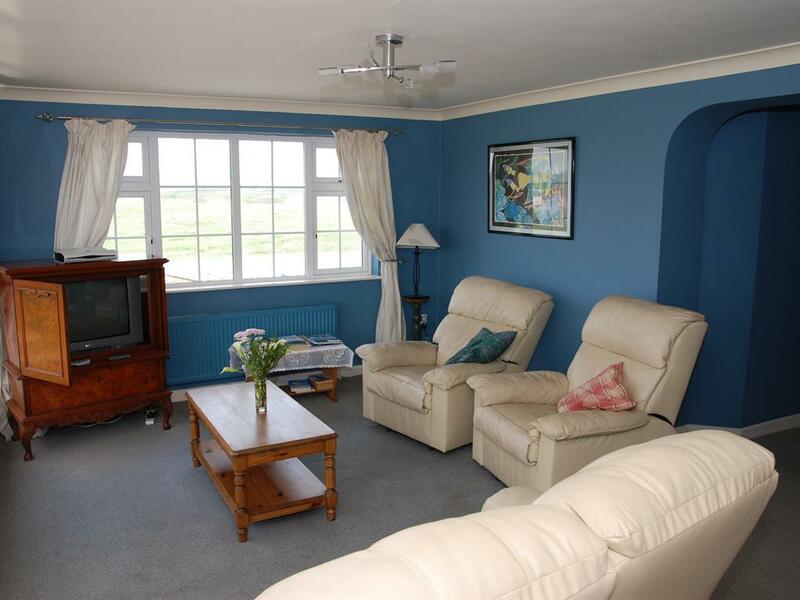 Also perfect area for outdoor enthusiasts who like walking, hiking, horse riding, surfing or just likes to relax and enjoy the fine scenery. Waterville has a good selection of craft shops and pubs, as do other nearby towns and villages. Restaurant is accessible for guests in a wheelchair. 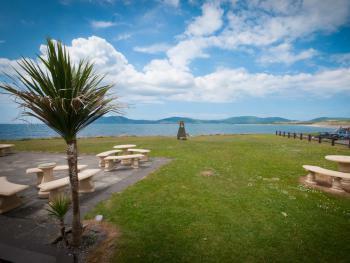 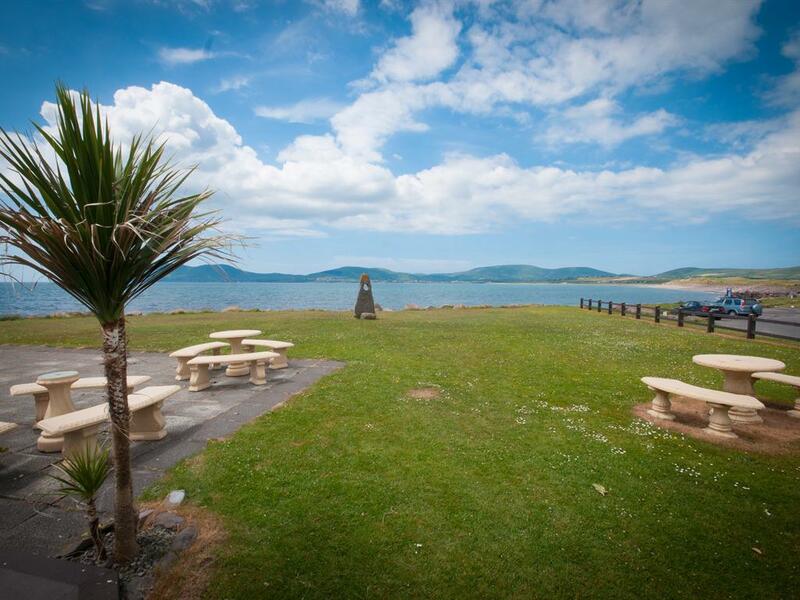 Travel by car on the Ring of Kerry (N70) in an anti-clockwise direction, Waterville is about 10 miles from Cahirciveen. 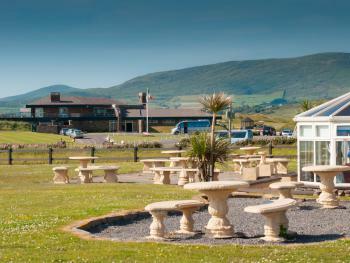 As you approach Waterville you will see a church on the left and a petrol station on the right. 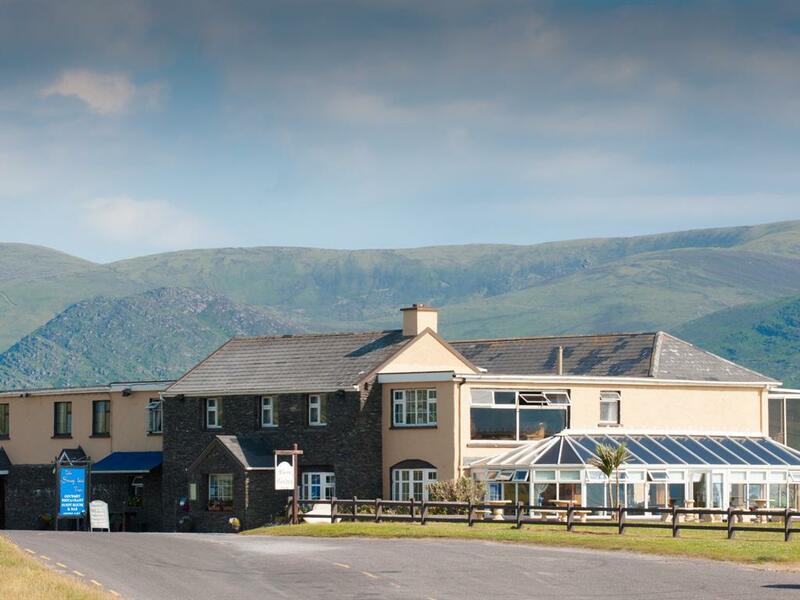 Follow the road round to the right (staying on the N70). A little way along the road there will be a signpost for The Smugglers Inn & Watervlle Golf Links and you should take the next right turn. 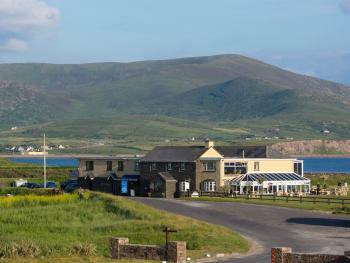 At the end of that road turn right again and The Smugglers Inn is on the left.